I recently explored a new area (for me) in the far northeast of the moor. I’d been told about a good pool for swimming and wanted to find a circular walk that could end there. 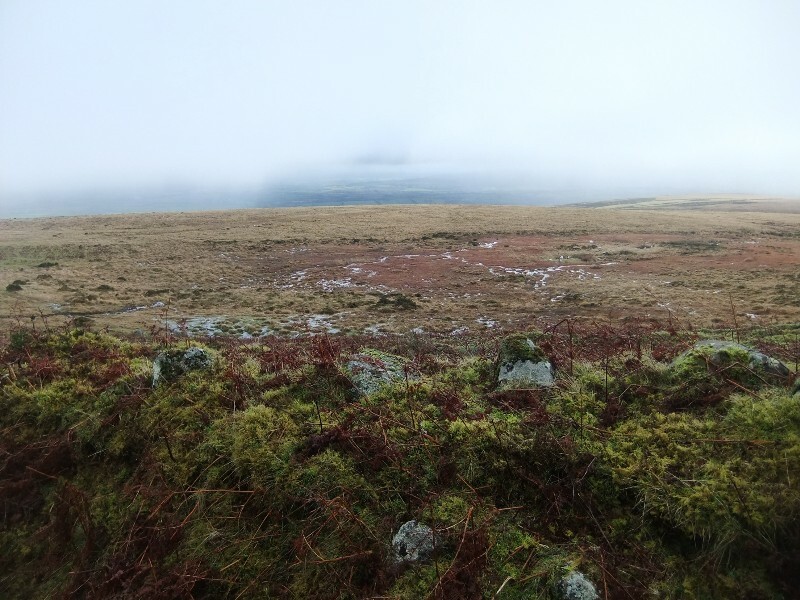 I found the pool, I found a rather dramatic triple stone row on the slopes of Cosdon Hill, I saw some amazing views out over towards Exmoor and southwards over Dartmoor, but I failed to complete a circular route. Of course this was not because I couldn’t find my way, but because I was defeated by the mires and the incoming mist. 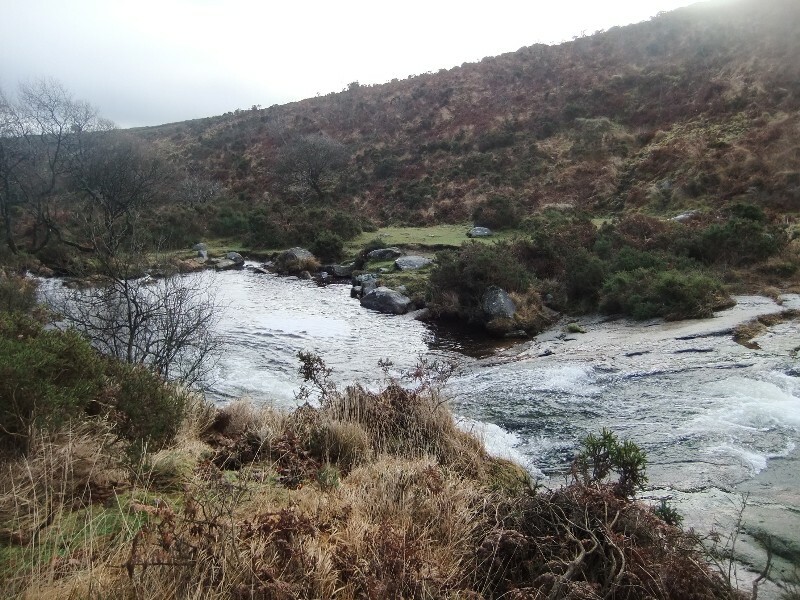 Mires are the seriously boggy bits of Dartmoor that ponies and people and Sherlock Holmes villains drown in. They are the marshy areas where all the moor’s rivers start, gentle hollows that can look harmless or deceptively lawn-like and harbour some of Dartmoor’s greatest areas of biodiversity: sphagnum mosses, insectivorous plants like the sundew, bog asphodel and birds such as golden plover, dunlin and snipe. 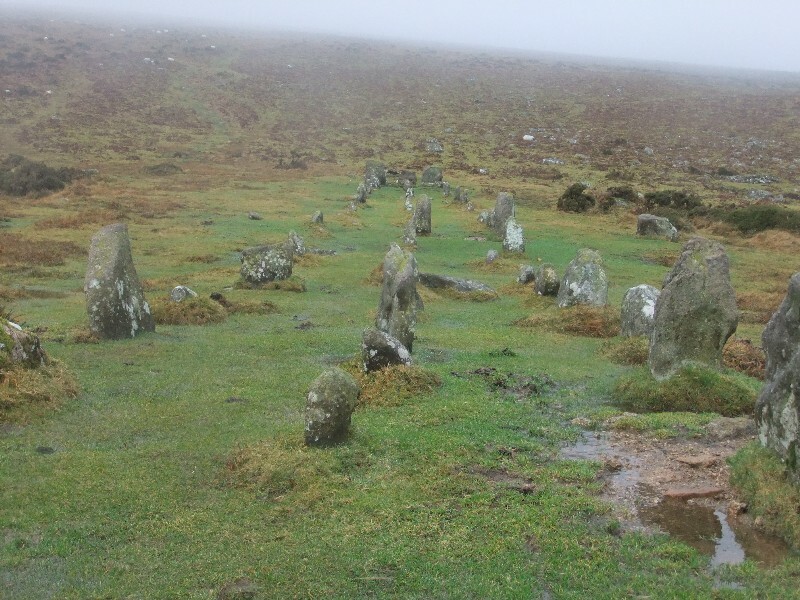 The most famous is Fox Tor Mire (on which Conan Doyle’s Grimpen Mire is modelled), but there are many others of all different shapes and sizes. My walk began on a very well trodden peat track (originating in South Zeal) which passed through a stone row (pictured) --known as the Cemetery because it really does look from a distance like a collection of graves inexplicably placed in the middle of a moor --and then along the side of Cosdon Hill. It’s such an old and well-trodden track that in places it’s several feet deeper than the surrounding moor, and it’s like walking down one of Devon’s green lanes. But then as it nears the surroundings of Raybarrow Pool, it peters out and all is water. Maybe it’s not all water in normal times, but after 9 months of heavy rainfall it is impassable without waders. Looking south, the whole surface of the moor glints with standing water interspersed with tussocks of cotton grass. Classic mire scenery, bleak and beautiful at the same time (pictured). My plan is to return and try again in a month or so. 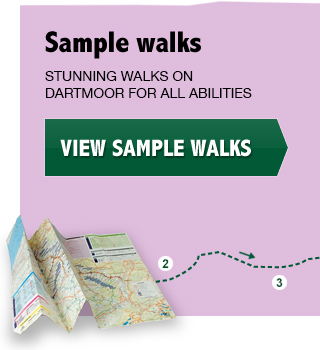 A very experienced moorsman told me one has to just walk higher up the hill at that point, then loop round to get to Little Hound Tor stone circle, from where it is possible to pick up another old track back off the moor on the other side of the mire. 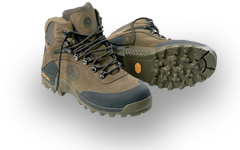 I hope I’ll find a route that doesn’t require too much hopping from tussock to tussock, so I can offer it as a guided walk. It’s a magnificent bit of moor and the final stop by the Blackaton Brook (pictured) is a great rest/picnic/swimming spot.